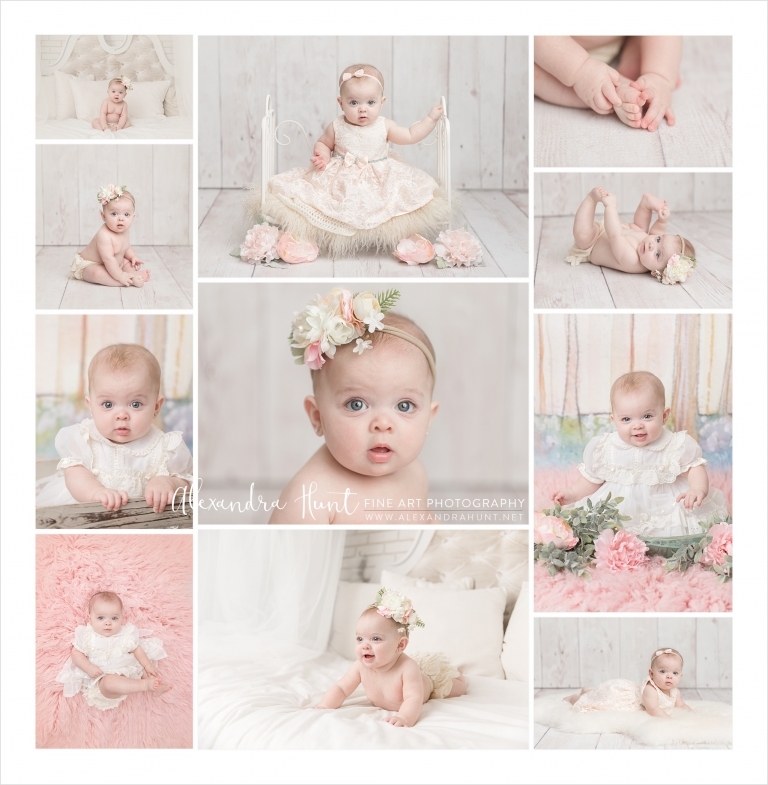 This session includes access to our beautiful range of baby backdrops and outfits. It includes both interactive and posed portraits of baby and its parents, but does not include siblings or pets. It is designed for 6-8 month old babies who are able to sit independently. No later than one week before your session, full payment for one of the following packages will be due. Within 3 weeks of your session, you will get to download your images from a private online gallery. The photographer chooses which images make it to the final gallery. Additional images or physical products may be ordered at that time, if desired. Your fully edited, full-size images will be delivered via online download. *Returning newborn clients receive a $50 discount off the package of their choice! 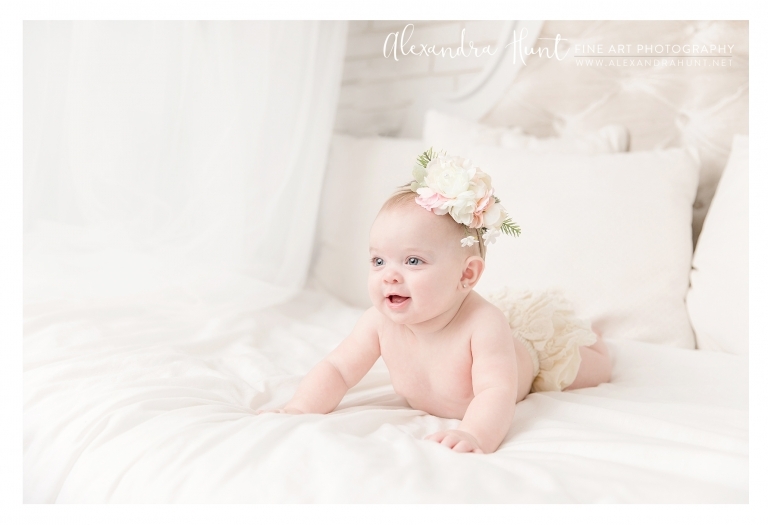 Sitting age baby sessions are held in our Langley studio when baby is approximately 6-9 months old. Clients are able to choose backdrops and outfits from our extensive collection for a customized experience. 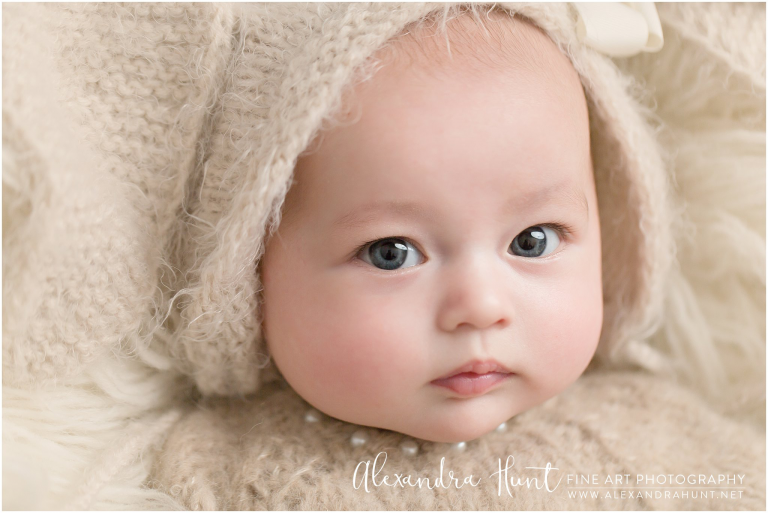 Our studio creates light and airy portraits, so soft pastels, neutrals, or white clothing is recommended for both baby and parents. We provide outfits for babies of both genders, mom, and have white t-shirts for dad if needed. 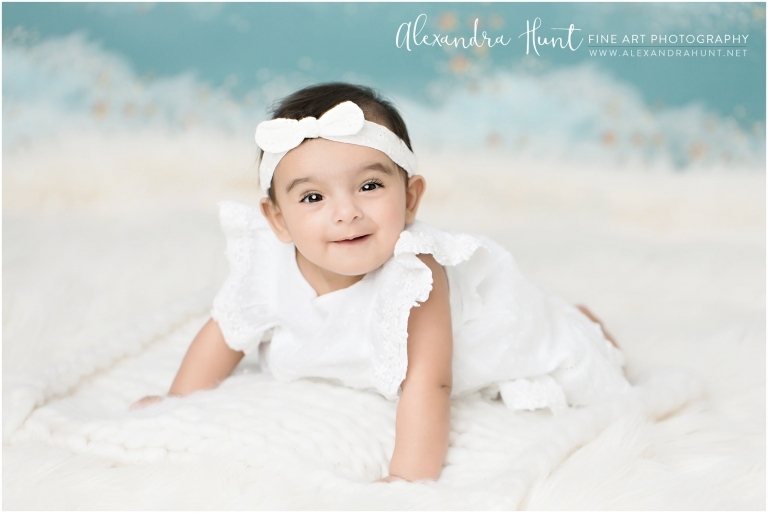 Most sessions include a mix of happy faces as well as curious and soulful expressions as well, for a well-rounded gallery that reflects the many facets of your child's personality.